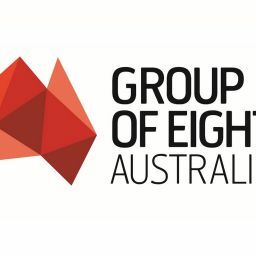 The Group of Eight (Go8) Vice Chancellors welcome the Government’s focus on innovation and its determination to ensure an assessment of research impact. The Australian public deserves not only greater transparency in how their tax dollars are spent, but also a far better understanding of how their lives are enriched every day by funding University research. The Go8 already leads Australia in both industry and basic research and, importantly, in the symbiosis between the two which necessarily underpins a dynamic and innovative economy. The Go8 was a major partner in Australia’s first large scale national trial of research impact which found significant economic, social and environmental benefits, or ‘impact’, arises from research undertaken at Australian universities. The trial also confirmed that this impact was able to be assessed in a meaningful way. The Go8, as Australia’s leading group of research intensive universities, is Australia’s crucible of basic research. This basic research is the critical discovery feeder into any applied research. When taken together these research streams deliver incredible impact for Australia and for the world. Professor Steve Simpson was investigating why locusts swarm – he noticed they were incredibly refined eaters – this led to the discovery that separate appetites exist for protein, carbohydrates and fat in humans – this led to greater insight into human obesity and how it can be treated and prevented. Professor Simpson is now Director of the University of Sydney’s Charles Perkins Centre a multidisciplinary research and education hub that delivers impact through its aims to ease the burden of obesity, diabetes and cardiovascular disease. Professor Peter Currie from Monash University was studying the muscle stem cells in zebra fish – this led to a breakthrough discovery of how the most important stem cells (HSCs) in human blood and bone marrow are formed; as HSCs are the basis of bone marrow transplantation this discovery has had great impact on the treatment of leukemia patients. Professors Barry Marshall and Robin Warren of the University of Western Australia won a 2005 Nobel Prize for medicine in 2005 for their discovery that bacteria Helibacter pylori causes stomach ulcers (which affected 10% of all adults) and that ulcers could be easily treated with an antibiotic. The Go8 therefore applauds the Turnbull Government for understanding the value of both research streams and the role they play within an innovation strategy. The Go8 is distinguished by its capacity to undertake both basic and applied research – both in our research income earned and in our R&D expenditure. The Go8’s total research income as Australia’s leading research intensive universities is some 68% of the sector. We are completely committed to research with impact and we support such a Government focus. We lead in fundamental research which is at the core of what can be developed. Some 80% of the sector’s commercialisation income is generated by the Go8. Through this balance, profound basic research leads to impactful engaged research. This in turn informs and grounds our basic research efforts for the benefit of all Australians. Our challenge – which we will take up in partnership with the government – is to leverage this virtuous research cycle for greater commercial and societal outcomes. Research impact assessment will be a key tool in this process. Research-driven innovation is a primary motor of economic growth. Australia is unusual in that although business expenditure on research exceeds the higher education research budget by a significant margin, there are more researchers in universities than in business. Importantly, building an innovative economy for Australia requires input from business as well as universities. The Go8 is ready to enhance economic prosperity through further industry engagement. Policy drivers which encourage this will be crucial but must not come at the expense of funding for basic research, which is the feeder that underpins innovation.